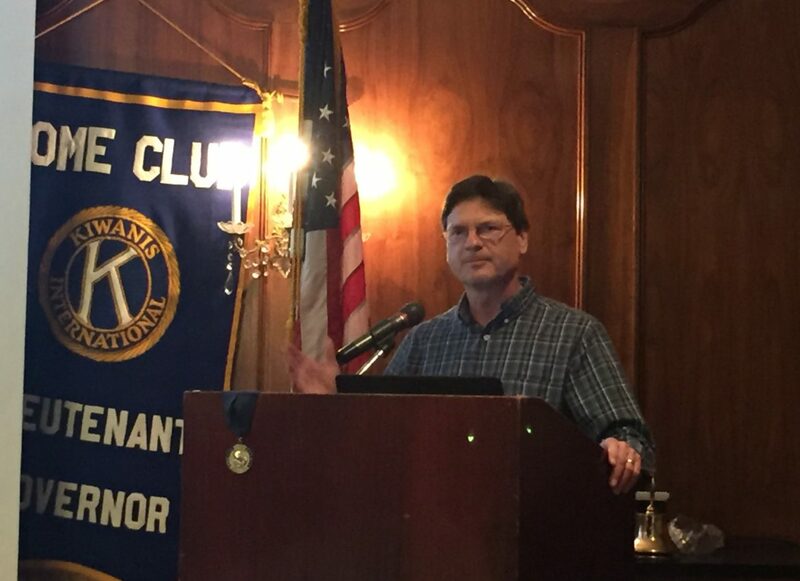 Kiwanis of Lafayette thanks Scott Longon of the Lafayette Memories Facebook Page, for speaking to us today. As we enter a new year, we thought it best to take a quick look back, not to the events of 2016, but to our city’s more humble beginnings. Lafayette Memories is a Facebook Page dedicated to preserving Acadiana history through pictures and posts on its website. More than 12,000 Facebook users have joined the page and are actively sharing pictures, stories and memories of Lafayette throughout the decades. Scott Longon is one of the contributors to the Facebook Page. The page has become a hobby for him. He told us of the history of the page, and where its contributors find its many sources of information. Scott also shared with us several pictures of downtown landmarks. Scott also shared with us some of the photos that he took recently of some of these landmarks in which, using Photoshop, he has been able to merge the old with the new. The presentation brought out lively discussion from the members who recalled some of these bygone buildings. If you are on Facebook, please visit their page here. On that page, you can request to be included in the group. Thanks, Scott for your entertaining discussion!